Unit Text:	32 Lt. A.A. Regt. 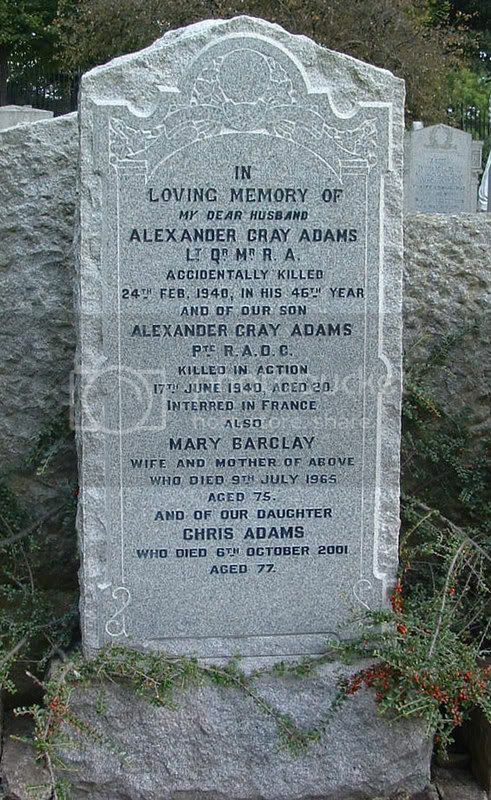 Additional information:	Son of Thomas and Annie Gray Adams; husband of Mary Adams (nee Barclay) of Stirling. Grave/Memorial Reference:	Compt. F.1. Grave 18. 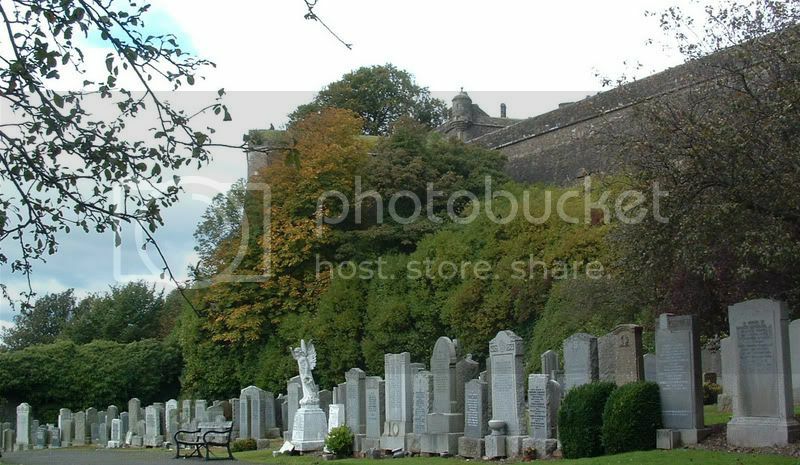 Additional information:	Son of Alexander Gray Adams, and of Mary Hammond Adams, of Stirling. Grave/Memorial Reference:	Compt. F. Grave 17. 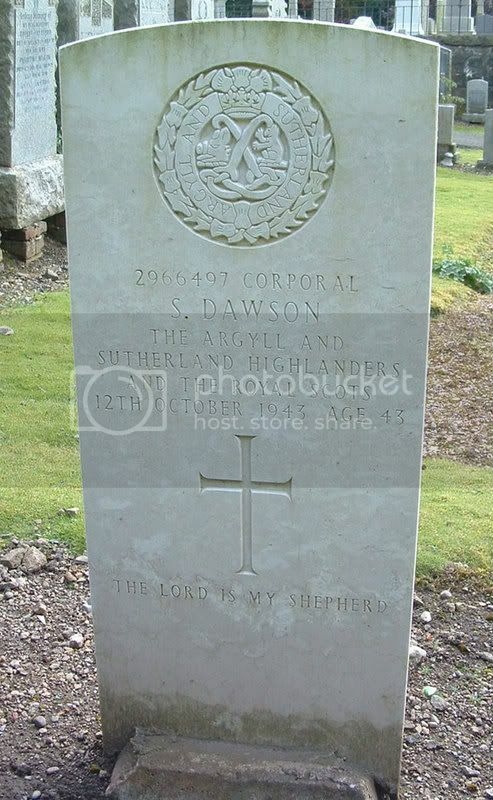 Additional information:	Son of John and Marie Dawson; husband of Agnes Dawson, of Stirling. Grave/Memorial Reference:	Compt. F. Grave 18. 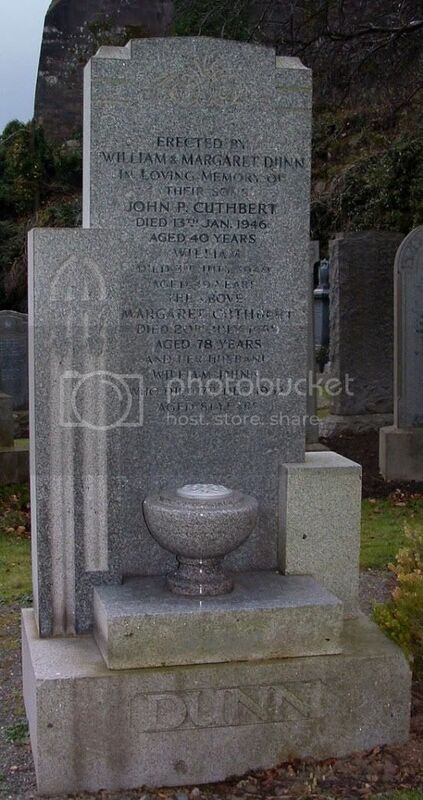 Additional information:	Son of William and Margaret Cuthbert Dunn, of St. Ninians, Stirling. Grave/Memorial Reference:	Sec. 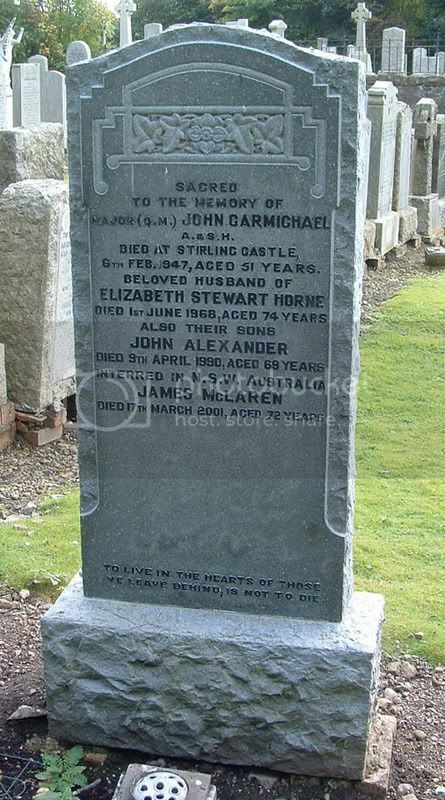 E. Grave L.
Additional information:	Son of Archibald and Catherine Goldie, of Stirling; husband of Hannah Maria Brodie Goldie, of Stirling. Grave/Memorial Reference:	Compt. G.1. Grave 28. Unit Text:	175 Bty., 66 Lt. A.A. Regt. Grave/Memorial Reference:	Compt. L. Grave 78. 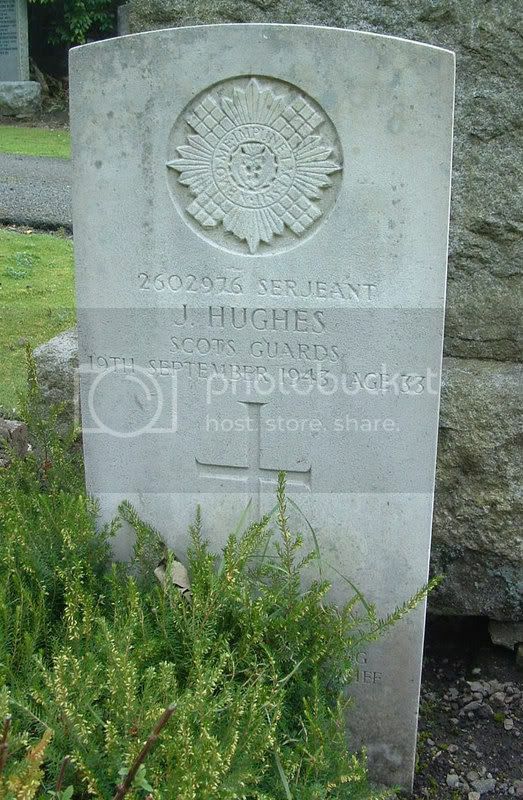 Additional information:	Son of James and Rose Ann Hughes; husband of Isabella Barclay Hughes, of Stirling. Grave/Memorial Reference:	Compt. G.1. Grave 17. Unit Text:	135 Field Security Sec. 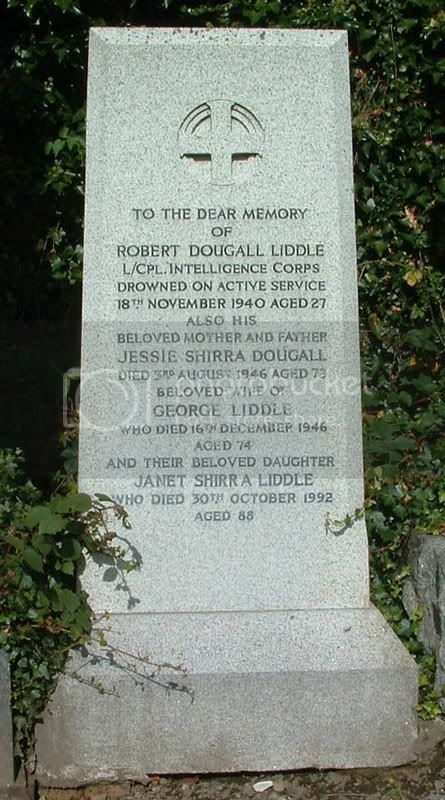 Additional information:	Son of George and Jessie Shirra Liddle (nee Dougall), of Stirling. M.A. (Hons.). Grave/Memorial Reference:	Compt. A. Grave 19. 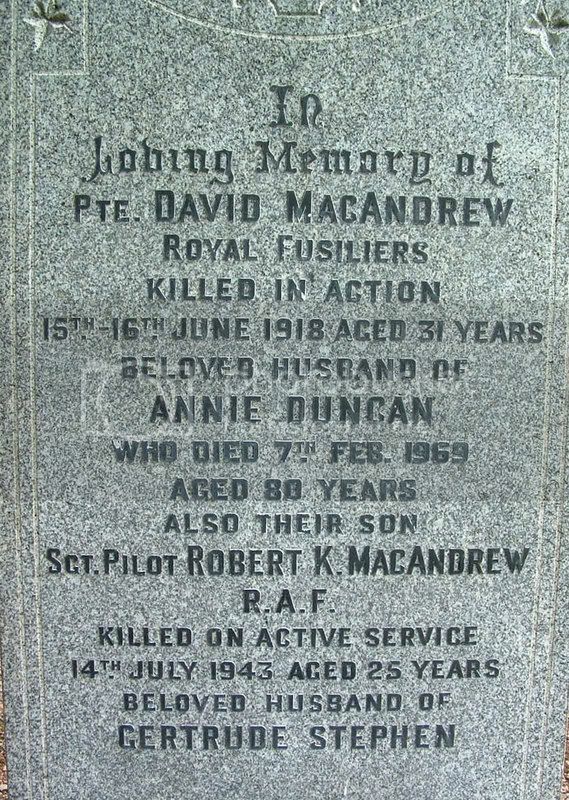 Additional information:	Husband of Annie MacAndrew (nee Duncan), of 5, Bayne St., Stirling. 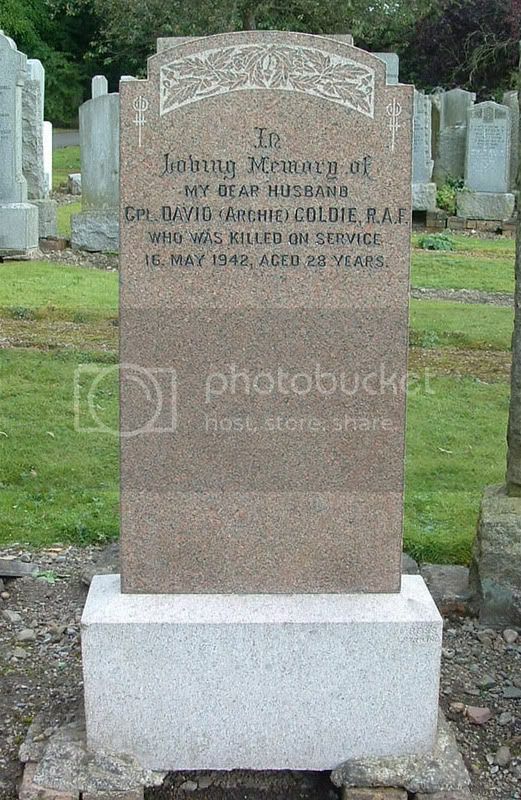 Additional information:	Son of David S. MacAndrew and Annie MacAndrew (nee Duncan), of Stirling; husband of Gertrude May MacAndrew, of Stirling. Grave/Memorial Reference:	Compt. E. Grave 11. Grave/Memorial Reference:	Compt. L. Grave 42. 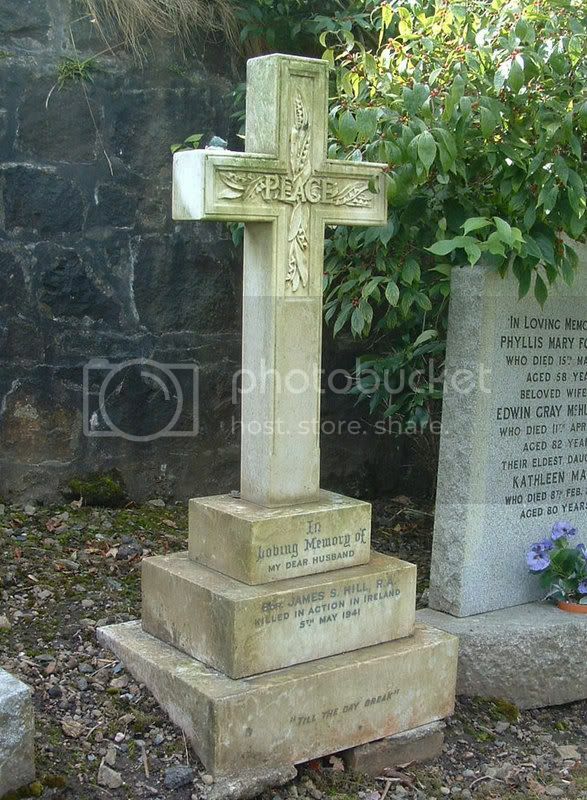 Additional information:	Son of Robert Crawford and Bridget Maria Milne (nee Walsh), of Stirling. 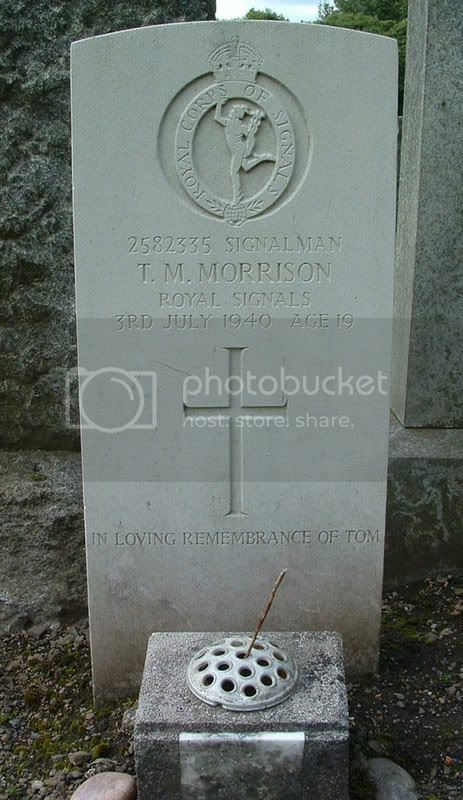 Additional information:	Son of John Coutts Morrison and Kate Law Morrison, of Edinburgh. Grave/Memorial Reference:	Compt. B. Grave 22. Unit Text:	51st Div. Sigs. Additional information:	Son of William Sydney and Mary B. Morrison, of Stirling. Grave/Memorial Reference:	Compt. F.1. Grave 11. 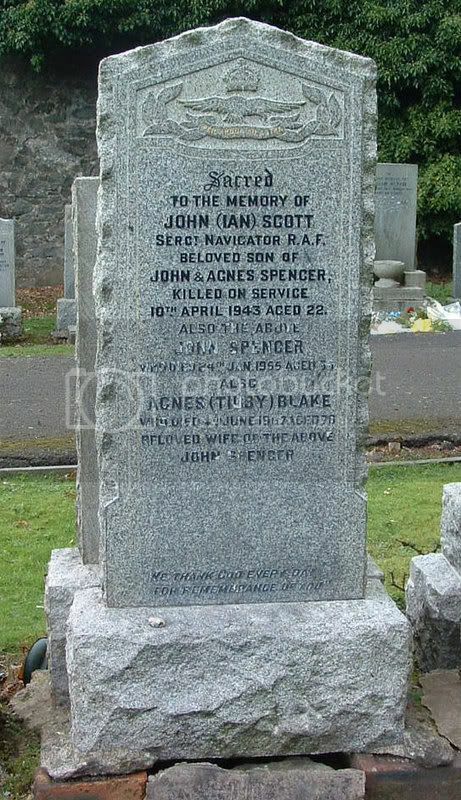 Additional information:	Son of John and Agnes Mary Spencer, of Stirling. Grave/Memorial Reference:	Compt. G.1. Grave 5. 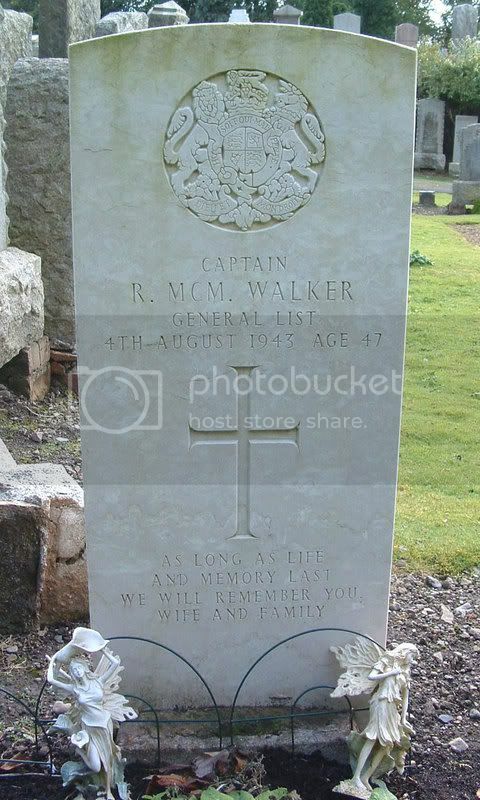 Additional information:	Son of Robert Cunningham Walker and Elizabeth Jollie Walker; husband of Charlotte Sinclair Walker, of Balloch, Dunbartonshire. Grave/Memorial Reference:	Compt. F. Grave 16.